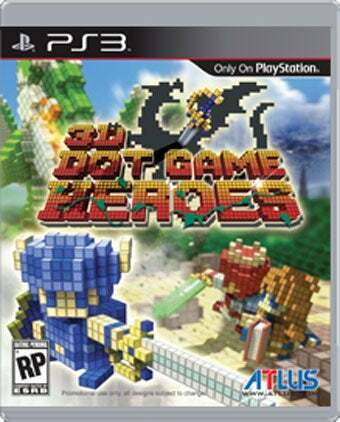 You may have heard: 3D Dot Game Heroes is getting an American release. But did you know who, exactly, was publishing it? Or when it'll be out? You do now. Put your surprised faces on: it's Atlus. Yeah, not the most shocking announcement, we know, but still, one that's sure to please PS3-owning fans of the original Zelda no end. Atlus say the game will be out in May 2010, and go for $40, but if you're keen (or worried the game won't enjoy the most widespread of releases), you can pre-order now from the usual suspects.